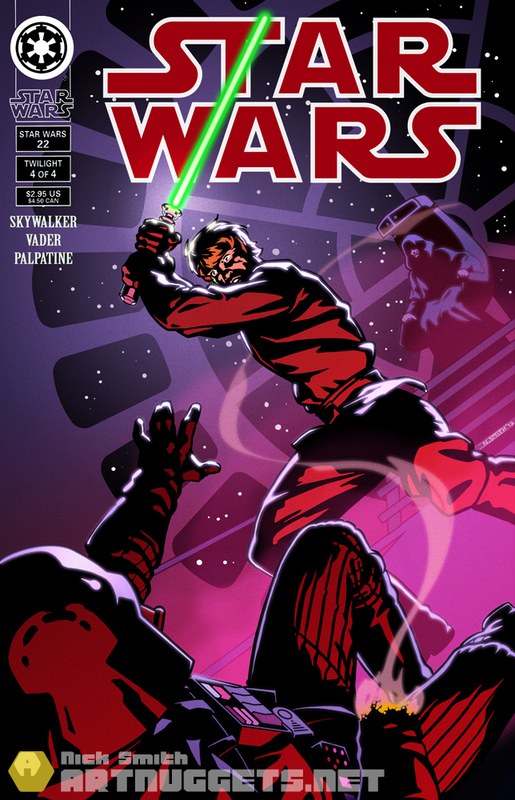 This week’s challenge on OzComics was to do a cover for a Star Wars comic complete with title, publisher details and contributors. There are so many iconic scenes from the series, especially the original trilogy, but I chose the moment Luke beats Darth Vader to the ground and severs his hand. With this image I tried to capture the power that Luke now has over Vader, but also Luke’s shock at the realisation of what has just happened, finished off with the sinister Emperor looking on. The image has come out well. I’m especially fond of the composition. The background is a bit simplistic but it serves its purpose. 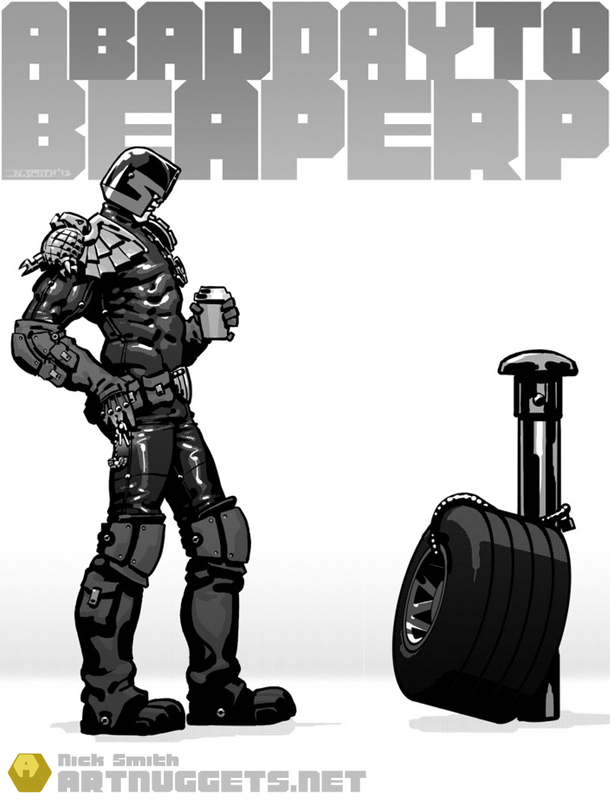 The judge of the competition is a writer for Dark Horse comics called Tom Taylor. Fingers crossed he likes it. The entries are pretty strong this week. Wish me luck! Here’s a trio of images that form a collection of characters I call Wideguys. These are a take on some fat little dudes I first created while at university. The lowrider culture was the main inspiration for these, with the cars shape altered to fit in and compliment the little dudes. Another aspect I was trying to make key are the designs, of the tattoos and motifs on the cars themselves. This is my entry for the weekly challenge at ozcomics.com. I’ve tried to develop my screen tone style with this one, introducing colour. I always try to give the viewer something to think about with my images, try to allude to a bigger story within the image. As with most of my more successful pieces, this one was thrashed out in pencil before being scanned and elaborated on in Photoshop. 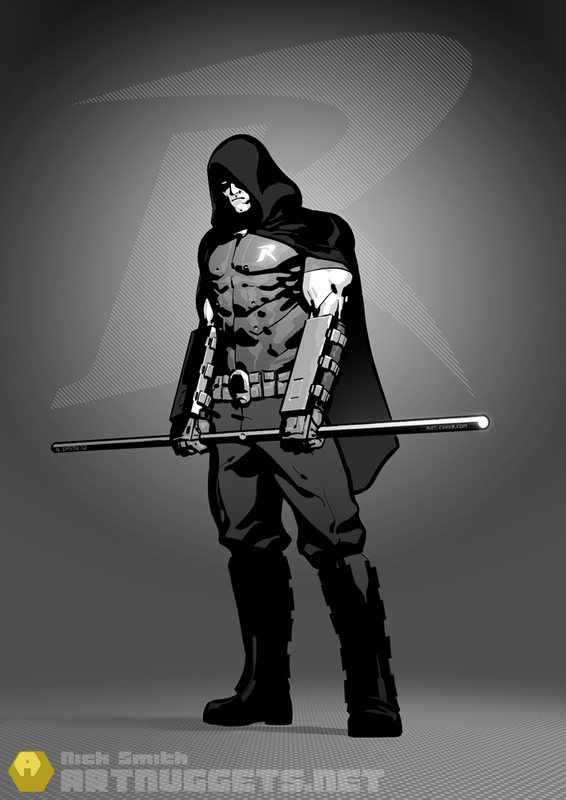 I’ve been loving Batman: Arkham City so much that I bought the Robin DLC. Finally, someone has made Robin cool. So satisfying doing the combat challenges with him and his bo staff. I just had to draw him. Hope you like it.